I’m currently in Cluj Romania spending time with one of our oldest ministry partners, Dr. David Ille. He is the president of our partner organization, Clinica Pro Vita. While touring their new facility I had the privilege to interact with one of their newest employees, Naomi. I asked her why she applied for the job as receptionist at the clinic. She spent the past three years in England completing a masters degree in criminal justice. She is very bright and extremely articulate. She could get a very good paying job anywhere. She very clearly stated she needed a job that had a cause that went beyond money. When asked about what salary she wanted she said, something just a little more than minimum wage. Her education prepared her for a much higher salary but to her, the cause was more important. She is a clear model for other new graduates who are looking for a meaningful role in society. She is a reminder for all of us who have been in ministry for a long time, why we are in ministry. It’s because of the message of the Cross, the undefinable sacrifice of Christ for each of us individually that calls us to be living sacrifices just like Him, for whatever cause he calls us into. 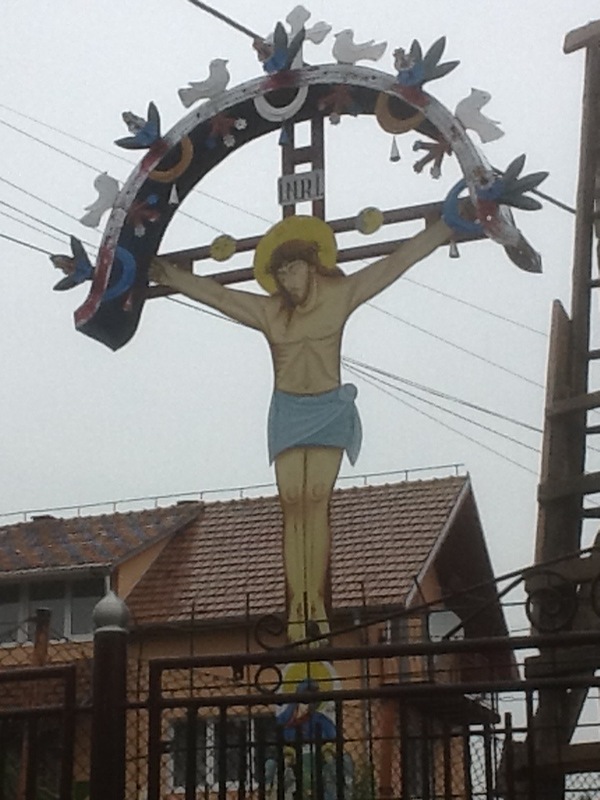 The picture above is a typical Romanian Orthodox crucifix found in the yard of many Romanian homes. They believe by putting this decorative symbol in their yards they will be blessed and protected from harm. I don’t hold that belief but I do believe we can be released from the typical thinking of this world as we submit our minds and hearts to Jesus and lay them down at the foot of the Cross. It is amazing the freedom we can experience when we do this. The world may look at Naomi and think she is crazy to take such a job for such a low wage, but that is not how she is viewed in glory. She is storing up treasure in Heaven and I have been so blessed to have met her. She is part of the next generation army that The Lord is raising up. She is part of a team who all live out the same conviction at Clinica Pro Vita. There is hope, The Lord is at work among His people, we are part of a cause that truly goes beyond money. 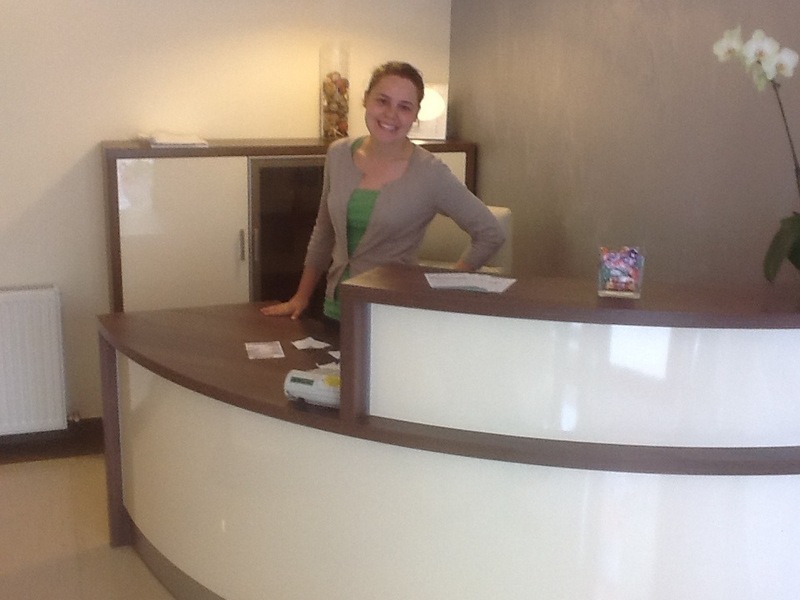 Naomi at the reception desk in the clinic. Thank you Naomi and the whole Clinica Pro Vita team!